Founder and executive director of the GLP; TV news journalist, producer and executive; author; think tank scholar; commentator and public speaker on sustainability, energy, chemicals, and the biotechnology revolution in agriculture and biomedicine. 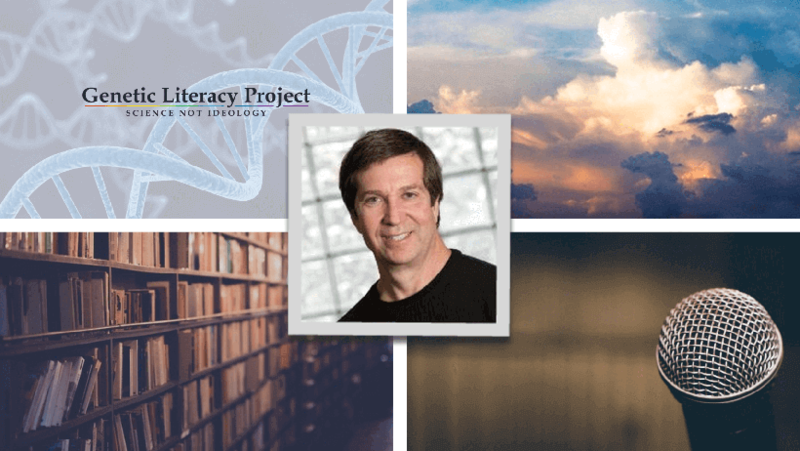 Jon Entine is founder and executive director of the Science Literacy Project, a non-profit funded by independent foundation grants that oversees three web based science literacy websites: Genetic Literacy Project (GLP), Epigenetics Literacy Project (ELP) and Genetic Expert News Service (GENeS). The GLP focuses on the intersection of genetics — both human and agricultural — with the media and public policy. Jon has been a professional journalist since 1974. He was a television news producer for 20 years, winning twenty awards including Emmys for specials on the reform movements in China and the Soviet Union. He produced magazine programs at ABC and CBS, an entertainment special for NBC, and was Tom Brokaw’s producer at NBC News, and was executive-in-charge of documentaries. He has written and edited seven books, including Taboo: Why Black Athletes Dominate Sports and Why We are Afraid to Talk About It and Abraham’s Children: Race, Identity and the DNA of the Chosen People. Three of his books have focused on genetics and two on agriculture. Jon has written for and his work has been featured in hundreds of newspapers, magazines, online media, radio and television. He often writes for Slate, Huffington Post, Forbes, Science 2.0 and other news outlets. Jon and his work have been featured in hundreds of articles and on many TV and radio programs, including ABC’s 20/20 and World News Tonight, Discovery’s Planet Green, CNN’s Anderson Cooper and Lou Dobbs, HBO, NPR, BBC, MSNBC’s Hardball with Chris Matthews, FOX’s Bill O’Reilly and Hannity & Colmes, FOX Business News, Al Jazeera, C-Span, Court TV, New York Times, Wall Street Journal, Financial Times, Washington Post, Chicago Tribune, Philadelphia Inquirer, Boston Globe, San Francisco Chronicle, GQ, Business Week, Forbes, Fortune, National Review, National Post (Canada), Toronto Globe and Mail, The Australian, The Australian Business Review, Guardian (UK), The Observer, The Telegraph, The Mail on Sunday, The Independent, and The Sunday Times (UK). 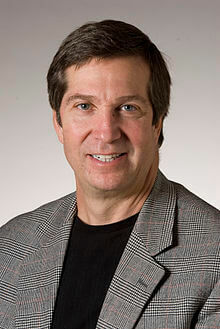 Jon graduated from Trinity College (1974, philosophy) and earned a National Endowment for the Humanities Fellowship in Journalism at the University of Michigan in 1981-1982. In 1989, Tom and Jon collaborated to write and produce Black Athletes: Fact and Fiction named Best International Sports Film of 1989). (It was followed later that evening by a talk show special). The TV shows led to his best-selling book Taboo: Why Black Athletes Dominate Sports and Why We Are Afraid to Talk About It (Public Affairs, 2000). In 2007, Jon wrote Abraham’s Children (Grand Central), which merged genealogy, genetics and religion to bring to life a new understanding of Western identity and the shared biblical ancestry of Jews, Christians and Muslims. It addressed efforts to identify cures for diseases that disproportionately impact specific populations and the social and political tempest that a renewed focus on “race” research is stirring. Jon lectures on behalf of the Jewish National Fund and the Jewish Federations of North America. Other books written and edited by Jon: Scared to Death: How Chemophobia Threatens Public Health; Pension Fund Politics: The Dangers of Socially Responsible Investing on the growing influence of social investing in pension funds; Let Them Eat Precaution: How Politics Is Undermining the Genetic Revolution in Agriculture, which examines the debate over genetic modification (GMOs), food, and farming; and No Crime But Prejudice, which explores the immigration controversy. Jon has participated in and organized dozens of public forums on policy issues, including at the National Academy of Sciences, Brookings Institution, University of Michigan, University of Florida, American Enterprise Institute and Hudson Institute. He has served as a lecturer at various universities, including Columbia University, the University of Michigan, Arizona State University, New York University, and most recently Miami (Ohio) University, where he was scholar-in-residence. Learn more about Jon Entine on Wikipedia.